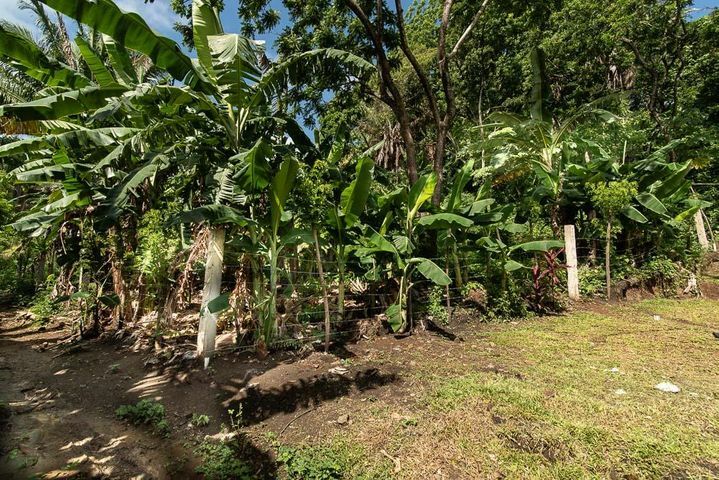 We currently have some fantastic lots for sale on the island that just might intrigue you. 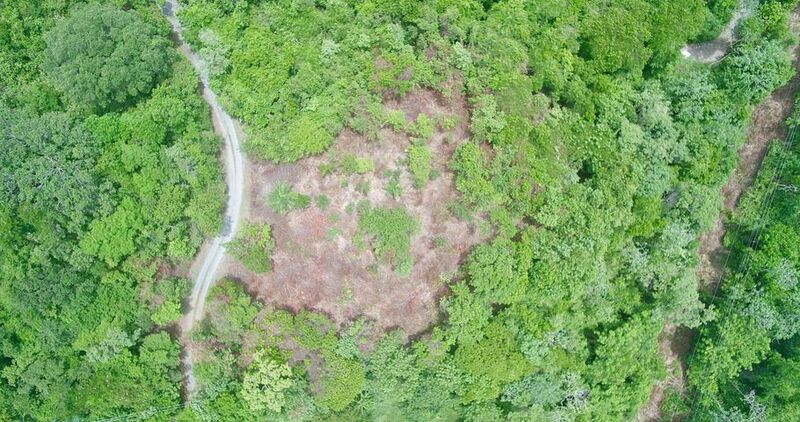 I selected 6 Roatan hilltop homesites for sale right now that I think are all amazing deals. Have a look for yourself! 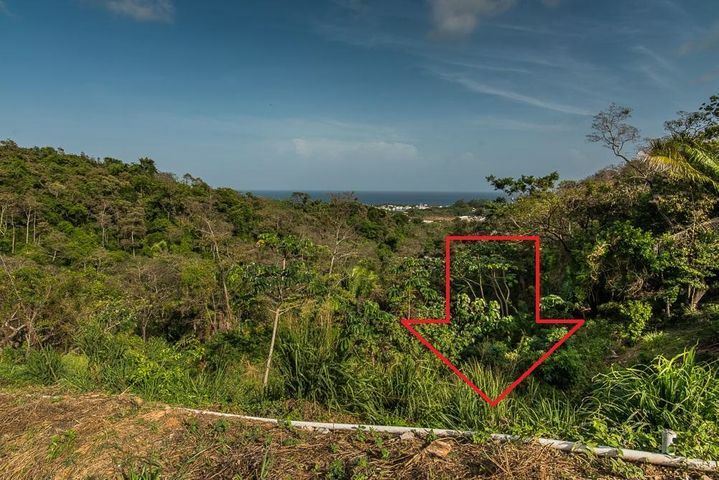 This ocean view lot is located in West Bay’s Latitude 16, a small development located between Lighthouse Estates and Turtle Crossing. Enjoy cooling tradewinds, utilities, road, no HOA fees, and amazing access to world-famous West Bay Beach from this easily buildable lot. 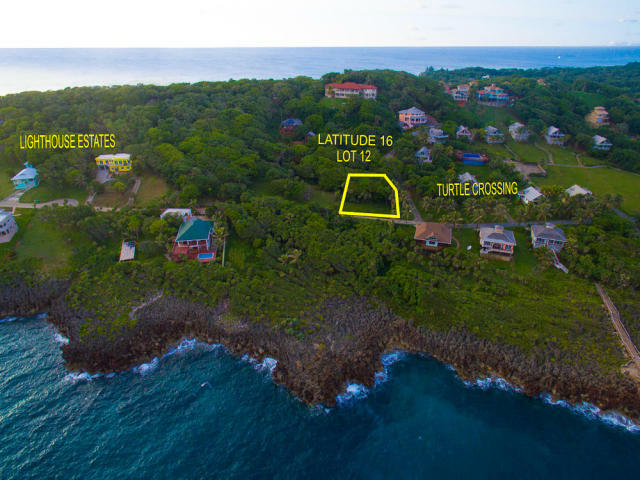 White Rock’s Lot 9C is a beautiful building lot with dramatic panoramic views of the Caribbean Sea and surrounding reef plus the island’s lush verdant hills. The lot is tiered with a gentle slope offering a great building site. All White Rock residents enjoy an off-site swim/snorkel dock. Interior roads are paved in concrete with underground utilities. Sandy Bay is a very popular residential area; its convenient location offers easy access to the airport, shopping, and main tourist areas and attractions. 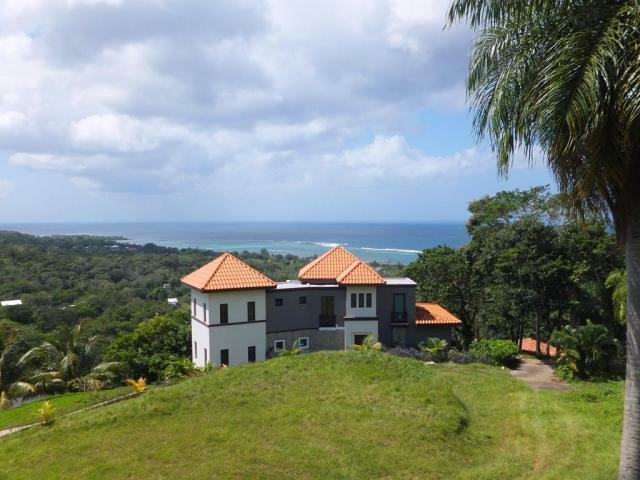 This beautiful tree-lined lot with a gentle slope overlooking the ocean is at the top of the Turrets neighborhood in West Bay. 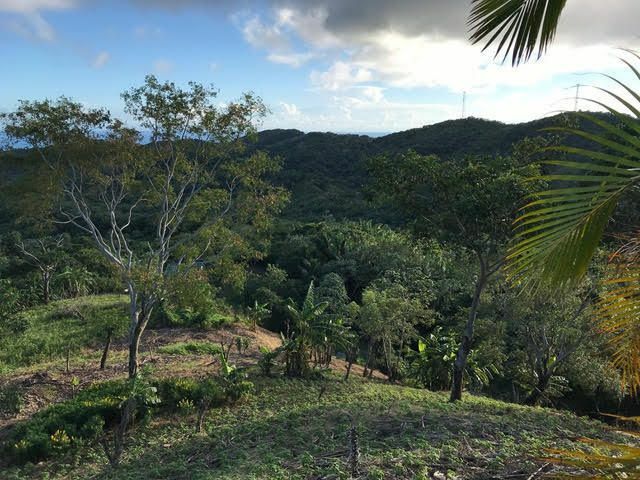 Plenty of space to build a nice home with great views of the sea, Cayos Cochinos, and the mainland Honduran mountains. This lot also receives a nice breeze. Great neighborhood for a vacation home, second home, or a rental property. HOA yearly fee of $1125 provides pool maintenance, security, and garden work in the common areas and around homes. Stunning ocean views from this hill side Lawson Rock Lot 29. Enjoy all the 5-star amenities that Lawson has to offer: 24 hour security, highly coveted landscaping, community pools, beach access, and much more. Conveniently located only 10 minutes from the tourist activity of West End Village and only 10 minutes from Roatan’s international airport. 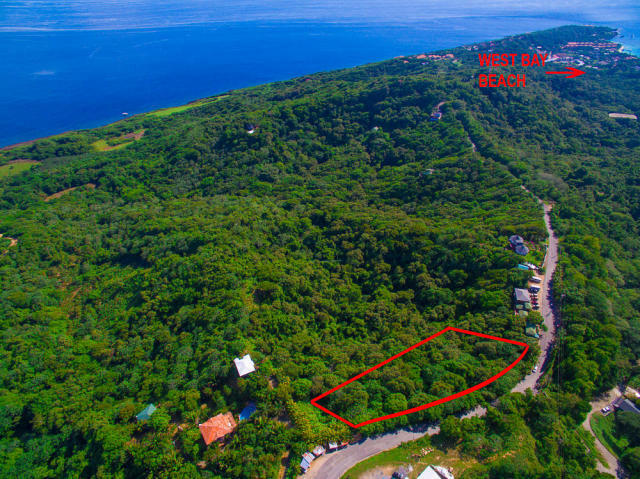 A rare opportunity to own a homesite in the coveted Phase 1 section of Roatan’s most upscale development: Pristine Bay. 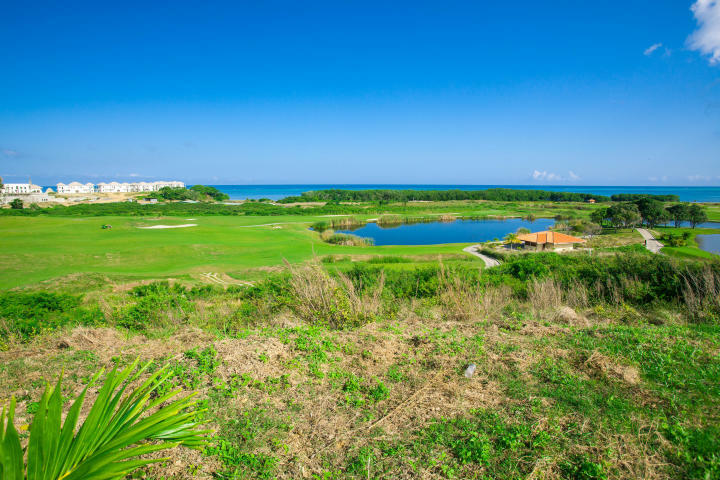 Located right on the golf course with beautiful panoramic Caribbean Sea views beyond the vibrant greens. The lot is already fully serviced with a paved road, power, and water. 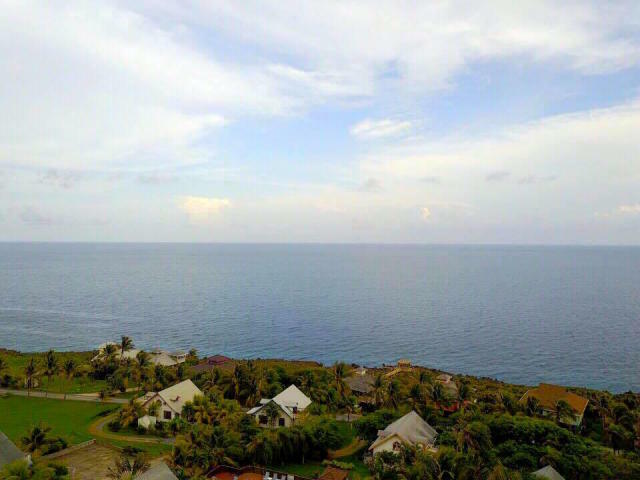 Pristine Bay’s amenities include the world-class Pete Dye 18-hole Black Pearl golf course, restaurants, beach, pools, 24-hour security, and a well-appointed beach club. 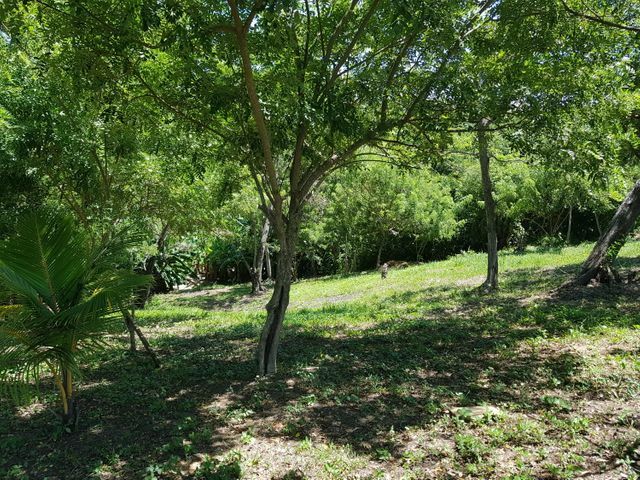 This expansive hilltop lot offers breezes and stunning views of the Caribbean Sea and mainland mountains below. Situated at the popular viewing area where cruise ship passengers and tourists stop daily, this 395’ of road frontage is ideal for shops, restaurants, tour agencies, and parking. 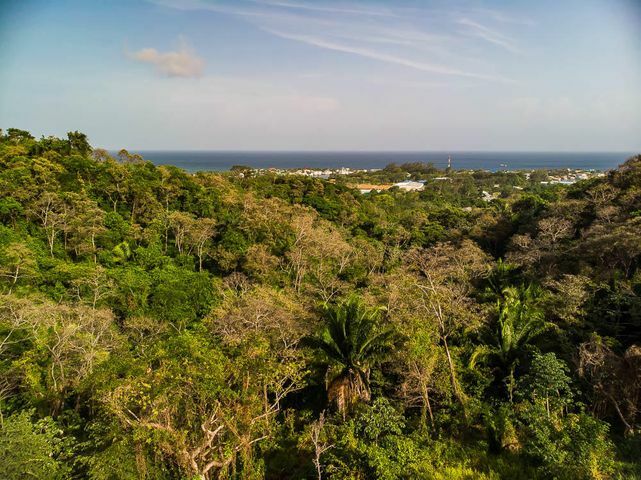 The terraced lower part of the property, with existing road, contains attractive home sites and sea views, while being surrounded by old growth trees. 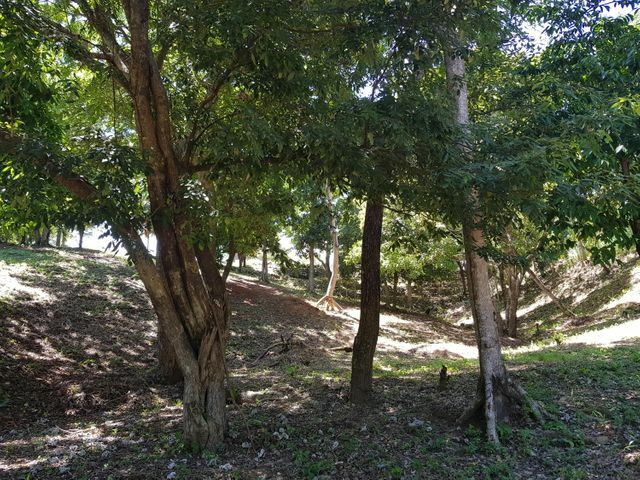 You can always explore all Roatan real estate listings here on the Roatan MLS, or head directly to the homesites and lots listings here on my website. Did any of these hilltop homesites appeal to you? Let me know and let’s arrange a visit so you can see this natural beauty in person. There are so many Roatan realtors to choose from when you’re looking to buy your dream home in paradise. 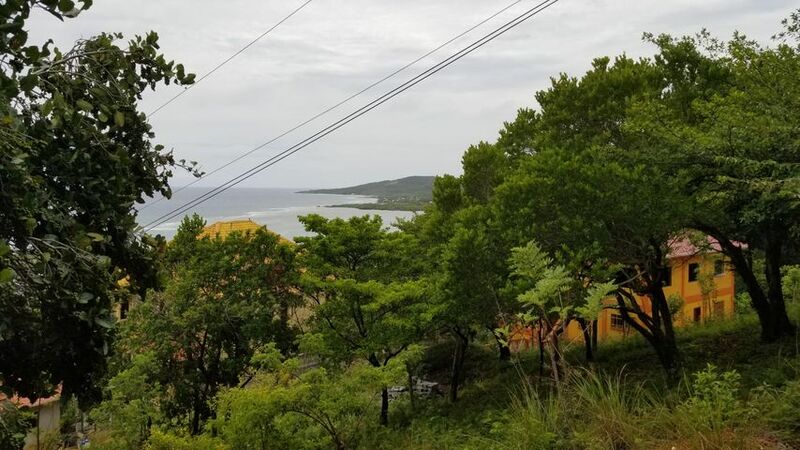 One of the best aspects of the Roatan real estate market is that you can peruse the Roatan MLS (Multiple Listing Service) for all island listings. 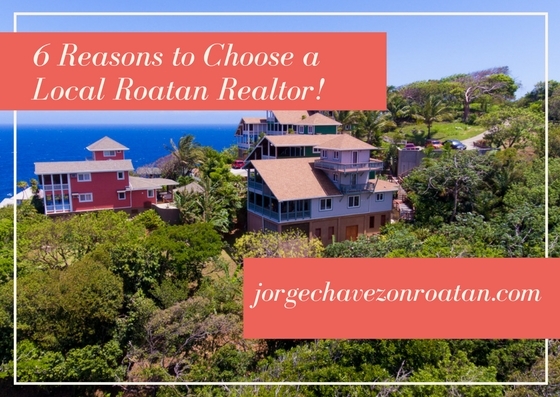 But I’d still like to point out a few reasons to choose a local Roatan realtor for your real estate transactions. As a local Roatan realtor, this is my home. I’m not just invested in the business aspect of real estate in Roatan. I am fully invested in the sustainable growth and the positive impact of this island’s real estate market. I am Honduran by birth, so these Bay Islands…these jewels of the Caribbean…this area is my homeland and I want nothing more than to see its success. Knowing that, I can promise that you won’t hear me pushing you on anything. No salesy lingo or cheap lines. I will always be honest and sincere in helping you to find the right opportunity. Unfortunately, I’ve seen some people move here on a dream only to run back home feeling like a failure. You have to be realistic about purchasing real estate here, and I will not hold back any details on the process, the potential pitfalls, or the costs incurred. My goal as a Roatan realtor is not just to make a real estate sale. That’s just a transaction. My goal is to find the right match for you – a lifestyle, a home, a new opportunity. The wrong match doesn’t help anyone. As a local Roatan realtor, I know the ins-and-outs of doing business in Honduras. So you can rest easy knowing that I know whom to talk to and how in order to maximize your benefits as a homebuyer or seller. Business can be conducted differently here than in other countries. The old adage of “It’s not what you know, it’s who you know” certainly applies in Honduras. Don’t worry, I’m a local Roatan realtor with connections near and far! My Honduran roots and my U.S. education and training all help me to find the best of everything here in Roatan. It can be hard to move to a new country! But, don’t worry, I can fill you in on all the insider tips. Want to know where the best cup of coffee is made? Or how about the best outdoor furniture? Or maybe you want to know where to stay when you go to the capital, Tegucigalpa, to file or renew your residency paperwork. It takes a local to truly know all the options – even those ones without websites or fancy big stores. You might be surprised to find some of the best local products being sold from right inside the artisan’s home! Those insider tips extend off the island as well. After all, you can’t always get the best deal on items that have added import costs. Sometimes, it’s beneficial to go to the mainland for larger purchases. A local Roatan realtor is rare! Most real estate agents in the Bay Islands are foreigners. Don’t get me wrong, there are tons of expats here and they help make these islands great. But since your real estate investment might be your first real introduction to doing business and making contacts in Honduras, it is of vital importance to work with someone who actually has those personal contacts. Being Honduran grants me better access to the local markets – simply being able to chat with local business owners in their preferred language helps facilitate better deals and better business. It’s a simple concept, but it truly makes a world of difference. As a local realtor, I can assure you that your success is my success. I believe in increasing the benefits for my community and my country that the real estate market can offer. Inviting foreign talents and skills into our community means more jobs and increased variety of services. That benefits my home! If your real estate journey is successful, my contribution to my community is successful. 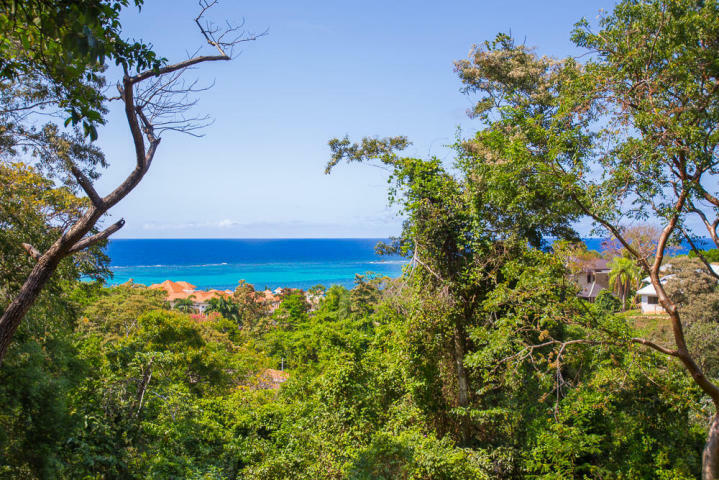 And if your real estate sale is successful – whether you stay in Roatan or move away – that reflects a strong market that ensures continued growth for my home. My support for you doesn’t end when the real estate transaction ends. I will always be available to help with any other help you might need settling in and building a life here in Honduras. As I said, as a local Roatan realtor, this is my home and I want to see it gain all the benefits and improvements possible. Whatever I can do to facilitate your life and/or business here, I’m happy to help. I didn’t move back to Honduras from the U.S. just to spin my wheels and seal the deal. No, I moved back to Honduras – and to Roatan specifically – for a better life for myself and for my family. I know the value of living in Roatan…and it’s not reflected in the cost of your house. If you’re hoping to make the move to paradise, as a local Roatan realtor, I would be honored to help make your dreams come true. Feel free to reach out anytime – even if you didn’t choose me as your realtor, I still love to help newcomers as best I can. After all, the island life is all about enjoying the good life and celebrating community. High-end estates in Roatan are not exactly flooding the market. So when a waterfront estate like Villa Shanti comes up at an incredible price point, I simply have to share its value. This particular Roatan waterfront estate is for sale at $1.100 million…and to call it a dream come true is an understatement. Located in French Harbour overlooking both Little and Big French Cays, Villa Shanti’s views encompass those iconic blues and aquas for which Roatan has become famous. The location is incredibly convenient to commercial French Harbour, where grocery stores, hardware stores, and the island’s brand new hospital are all located. Yet the privacy and tranquility of Villa Shanti create the illusion of having your own private island. It’s truly the best of both worlds. While other homes in Roatan might have similar square footage and quality, Villa Shanti stands apart with its bonus amenities. A private beach on 186 feet of oceanfront and a 120-foot deep-water dock with a palapa already put this estate above the rest. Add in the 1.25 acres of land, which includes 7,000 square feet of living space and you truly feel a world apart. Five bedrooms and four bathrooms offer everyone within the home the privacy they desire. This set-up also offers the potential to make Villa Shanti into a boutique B&B should an entrepreneur decide to become the Villa’s new owner. Even the fine details within Villa Shanti will impress you. Bathrooms boast marble and travertine, doors and windows are made of Rosita hardwood, and ceramic tile flooring adds to the elegant features of this estate. Villa Shanti also comes with a separate caretaker’s 1-bedroom, 1-bath cabaña. It actually feels like its own little universe of perfection. Villa Shanti is truly the ideal beachfront home. Vaulted ceilings allow for refreshing sea breezes to drift through the main living space, while relaxing by the infinity pool grants endless ocean vistas. The variety of blending blues and greens are a natural marvel. With the deep-water dock, you can head out on your own boat whenever the mood strikes. Roatan is known for exceptional deep-sea fishing and hosts an international fishing tournament each September. This location on Roatan’s southern shore is ideal for staying active in the community, whether on Roatan’s East or West Ends. You can join in on fun activities within the very welcoming island community in either direction. The Black Pearl championship golf course is just minutes away and multiple highly rated dive centers are available nearby in all directions. This waterfront estate is unique – an opportunity for the right owner to enjoy the good life on Island Time. Let me know if that owner could be you.